Welcome to our Autumn season, 2018! 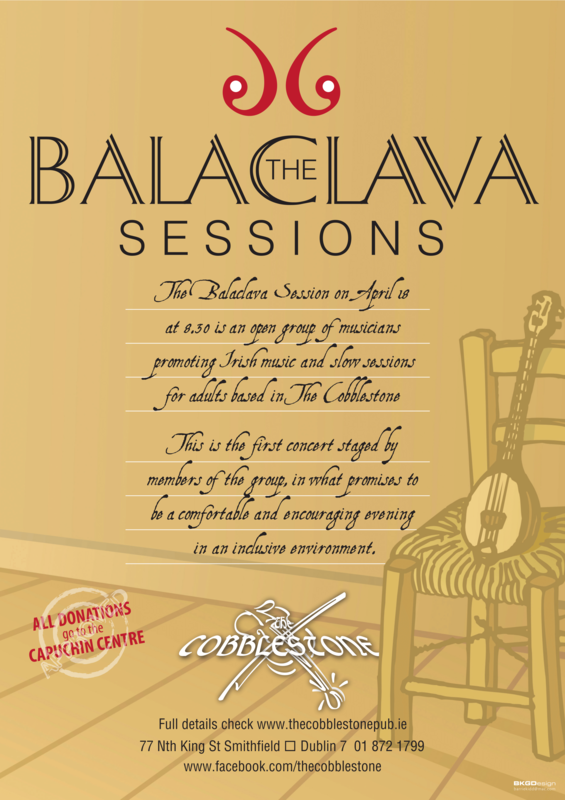 The Balaclavas is an open group of adult musicians created by Tom Mulligan a few years ago in order to promote Irish music and slow sessions for adults starting to learn an instrument: 'for people too shy to play in public without wearing a Balaclava'. It teaches traditional tunes and enables adults of all abilities to play together in a very supportive environment. This is a fantastic session that helps musicians new and old to practice playing in a group, develop technique and widen their repitoire. C'mon, give it a go! Musicians meet in the backroom of the famous Cobblestone Pub, at the top of Smithfield Square, Dublin, every Wednesday. Any person learning or playing any instrument is welcome. 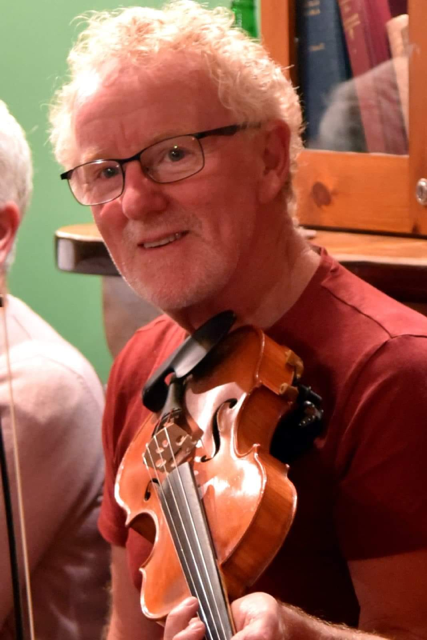 Síomha Mulligan teaches new tunes slowly and goes through the previously learned tunes from 7.30pm to 8.30pm. Jacqui Martin takes over from 8.30, for a fun slow session running to around 10 pm. It costs all of 5 euro for the evening - but your first session is free! This website hosts some of the tunes that were recorded during our Wednesday sessions, and it has an extensive Google doc library of the tunes that we have worked on, in ABC notation. You can access the recordings them from the panels on the top of the page, classified by type of tunes, and play or download them. The notation for the tunes can be found by clicking on the links for reels,jigs and more, further down the page. This group is used to share the latest recordings of tunes that we are working on, as well as general information on the latest events. There is also an email group that makes sure you know what tunes are coming next. Just ask Jacqui for details. Here are links to the lists of tunes (ABC and staff notation): Reels - Double jigs - Polkas & Hornpipes - Misc. These videos are a few years old, but they illustrate the type of thing we get up to. Members of Balaclavas have competed in the Dublin and Leinster Fleadh. We've also played at all kinds of charity events around Dublin and occasionally we take the odd road trip. There's usually something going on!